Of the 25 players selected to represent Canada for men’s hockey in PyeongChang, only two do not have any NHL experience. While there are no current NHLers competing in this year’s Winter Games, there is plenty of NHL talent on this particular roster. This is a sizable reason why Canada can take the gold in South Korea. You also have to take a closer look at the 23 players who have played in the league at one time or another. One is a Stanley Cup champion. Six of them have played in at least 400 NHL games. Five of them have had seasons of 20 goals or more in their NHL careers. The more you examine the roster, the more apparent it is that this is an NHL caliber team. While they may not be the best that the NHL has to offer, they arguably make the most talent laden team at the ’18 Olympics. 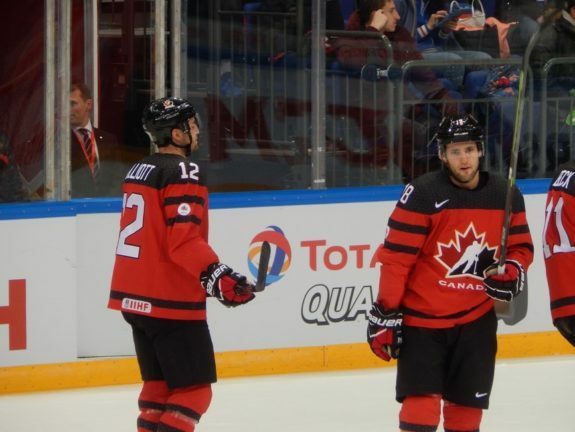 You do not want to go as far as saying that Canada has it in the bag to bring home gold, but they have the best players available to give them the opportunity to do so. #OHLAlumni to lead @HC_Men ?? Congrats to Chris Kelly (LDN/SBY ‘01) and Derek Roy (KIT ‘03) named captain and alternate for #PyeongChang2018 #Olympics . What is even more unique about this collection of players is that none of the 25 have previous Olympic experience. In fact, only 13 of them have even appeared in an international tournament for their country. All of that changes in South Korea. All 25 players become Olympians. You can bet the ranch too that they are going to make the most of their opportunity to do so, for it will likely be their one and only. Ben Scrivens (Salavat Yulaev), Kevin Poulin (Medveščak Zagreb), Justin Peters (Kölner Haie). 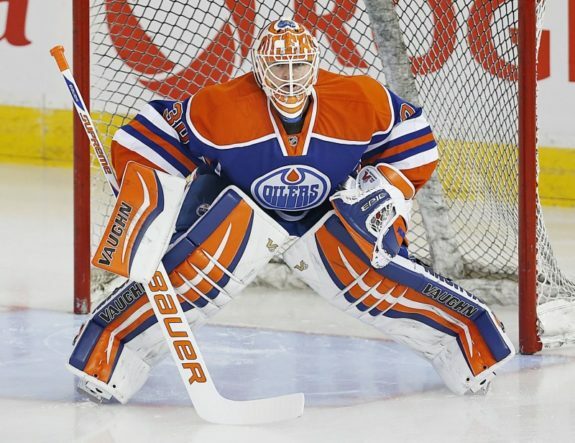 Ben Scrivens is arguably a goaltender that still should be playing in the NHL. From the 2011-12 through the 2015-16 seasons, he suited up for the Toronto Maple Leafs, Los Angeles Kings, Edmonton Oilers and Montreal Canadiens. He has always has had ideal size and lithe form at 6-foot-2 and just over 180 pounds. In 144 NHL regular season games Scrivens compiled a record of 47-64-17 with seven shutouts to go with a 2.92 goals against average and a .905 save percentage. Playing on poor Leafs and Oilers teams Scrivens was frequently left unguarded, and so his record is rather decent considering the circumstances. He has played this season and last in the KHL. Currently in Ufa, Russia with Salavat Yulayev, Scrivens is 19-11-2 in 35 games with a 2.29 GAA and a .917 SV%. Then we have Justin Peters. The bulk of his North American career was spent as a third-string goaltender who bounced between the NHL and AHL. In 83 games at the NHL level, Peters played for the Carolina Hurricanes, Washington Capitals, and the Arizona Coyotes. The most games he played in a season in the top league was 21 during the 2013-14 season with the Hurricanes. 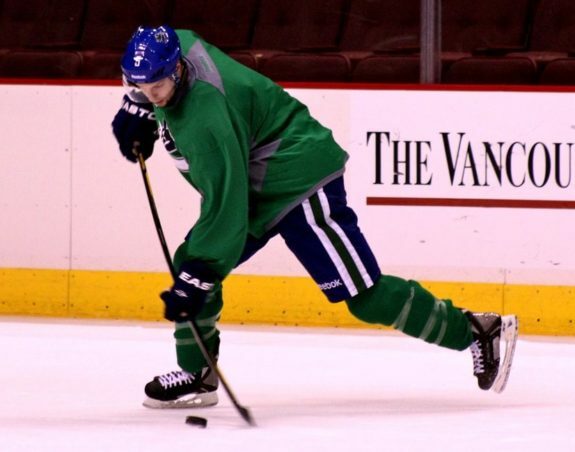 Peters has a bit more build to him than Scrivens, standing at 6-foot-1 and 210 pounds. He has split this current 2017-18 season between the KHL and Germany, where he is presently playing for Kölner Haie (Cologne Sharks). Peters’ NHL record is 25-38-9 with rather mediocre numbers of a 3.08 GAA and a .901 SV%. The third option in net is former New York Islanders netminder Kevin Poulin. The 27-year-old has not played in the NHL since the 2014-15 season. Poulin presently plays in the KHL with the Croatian team Medveščak Zagreb. In 22 games in ’17-’18 he has a 2.97 GAA and a .914 SV%. All 50 NHL games played by Poulin were with the Isles. In total he would amass a record of 18-25-3 with a 3.07 GAA and a .899 SV%. Similar to Peters, Poulin’s NHL numbers leave something to be desired. Canada should stick with Scrivens. He is easily the best of the three goalies, and accustomed to playing in more big game situations. You cannot overlook the fact that Scrivens played four years of NCAA hockey at Cornell University. The 19 shutouts he compiled in his collegiate career are still tied for third most in NCAA history. Chay Genoway (Lada Togliatti), Stefan Elliott (HV 71), Cody Goloubef (Stockton Heat), Chris Lee (Metallurg Magnitogorsk), Marc-Andre Gragnani (HC Dinamo Minsk), Maxim Noreau (SC Bern), Karl Stollery (Dinamo Riga), Mat Robinson (CSKA Moscow). A native of Vancouver, British Columbia, Stefan Elliott was the 49th player selected overall in the 2009 NHL Entry Draft. The Colorado Avalanche took him, and he would play five seasons with the organization. In fact, in Elliott’s rookie season his 39 games for the Avs would be the most in a single season for his NHL career. He would also have brief stops with the Coyotes and the Nashville Predators. Elliott is playing this season in the Swedish Elite League (SHL) for HV71 out of Jönköping. His three goals and 13 assists in 28 games are second most on the team in scoring. The 27-year-old does not play very physical, but has a good shot and is capable of getting the shot away when needed to. In 84 NHL games Elliott scored eight goals and 16 assists for 24 points. Chris Lee has never played an NHL game, nor was he ever drafted. He has however compiled a very successful pro career in Europe. The NCAA’s Division III SUNY-Potsdam Bears is where he played his college hockey. Lee has had five straight superb seasons in the KHL with Metallurg Magnitogorsk. He is a two-time Gagarin Cup champion, having helped Magnitogorsk win the championship in both 2013-14 and and 2015-16. During the 2016-17 season, he scored 14 goals and 51 assists for 65 points in 60 regular season games to lead all KHL defensemen in scoring. Lee may very well be the best player currently playing pro hockey who has never skated a shift in the NHL. That is why at 37 years of age he is on Canada’s roster and will be one of their most counted on defensemen in PyeongChang. Marc-Andre Gragnani has always had a whale of a shot from the blueline, and he has always done well with jumping into the offensive zone. While never catching on with the Buffalo Sabres, Vancouver Canucks, Hurricanes, or New Jersey Devils, he routinely potted double digits in goals during his junior hockey career with the Prince Edward Island Rocket and in the AHL. Gragnani has played this season and last in the KHL for Dinamo Minsk. In those two seasons he has scored nine goals and 60 assists in 109 games. With defenders like these three, Canada should produce a lot of offensive opportunities from the point on inward. There is a lot of scoring threat from this defense corps. Rene Bourque (Djurgardens IF), Derek Roy (Linkoping HC), Linden Vey (Barys Astana), Gilbert Brule (Kunlun Red Star), Andrew Ebbett (SC Bern), Wojtek Wolski (Kunlun Red Star), Christian Thomas (Wilkes Barre/Scranton), Quinton Howden (Dinamo Minsk), Chris Kelly (Belleville Senators), Rob Klinkhammer (Ak Bars Kazan), Brandon Kozun (Lokomotiv Yaroslavl), Maxim Lapierre (HC Lugano), Eric O’Dell (HC Sochi), Mason Raymond (SC Bern). While age eventually started slowing him down, Derek Roy has always been a beautiful playmaker. The veteran of 11 NHL seasons recorded 40 or more assists for four consecutive seasons for the Sabres in the late 2000s. Roy’s finest season came with Buffalo in 2007-08 when he scored 32 goals and 49 assists for 81 points in 78 games. Even at age 34, he continues to do the same now for Linköping HC in the SHL. In 39 games this current season Roy has put forth 11 goals and 22 assists. He is one of the most talented players on Canada’s squad in South Korea and one of their more potent weapons. Remember that Roy has scored 524 points (189 goals, 335 assists) in 738 regular season games, and he is still putting up numbers in Sweden. Chris Kelly brings a Stanley Cup championship and well over 800 games of NHL experience to this Team Canada lineup. While never really known as a scorer, it is his two-way performances, his penalty-killing ability, and his tremendous work ethic that bring Kelly to the Olympics and as team captain. He had joined the Belleville Senators of the AHL on a professional tryout contract after 13 seasons in the NHL with the Boston Bruins and the Ottawa Senators and that is where he has played for ’17-’18. Kelly is a difference maker, and one of the most well-respected hockey players that will be competing in PyeongChang. In many ways, this is an opportunity of a lifetime and an incredible way for the 37-year-old to wrap up his hockey career. Canada will look to winger Mason Raymond to be their goal scorer. The veteran of 546 NHL regular season games was long projected to become a perennial 30-plus sniper but he never quite got himself over the hump. Raymond’s finest NHL output came during the 2009-10 season with the Vancouver Canucks when he potted 25 goals on the year. Although he never scored more than that for a season, he will still be counted upon to put numbers up at these Winter Games. Raymond is certainly capable of doing that. After all, he had seven consecutive seasons in which he would have double digits in goals. It’s just that the numbers never reached as high as what NHL teams expected of him. Currently Raymond is playing Switzerland with SC Bern in the top Swiss A league. Prior to the Olympics he has scored 17 goals and 17 assists for 34 points in exactly 34 games. At least on paper, Canada appears to have the best roster of any men’s team in PyeongChang. If you did not know that this was the Olympics, you might guess it was some sort of a new NHL expansion team. There are a lot of familiar faces and a lot of achievement already within this roster. Canada will have the goal scoring for sure. Players like Raymond, Rene Bourque, Wojtek Wolski, and Gilbert Brule are all veteran B-list snipers. With a setup man like Roy or a point man like Lee feeding the puck, there are plenty of finishers on this roster. Goaltending may be the only portion of Canada’s roster that is suspect. Scrivens is not a bad goalie, but he is not unbeatable – he does not have the on-ice persona that can get into the psyche of an opposing shooter. Peters and Poulin are average at best. Yes, if Canada falters in PyeongChang it will be due to goaltending. And if it is not because of goaltending, then it will be because of certain players assembled on this roster. While they are talented, players like Brule and Bourque have been accused of underachieving or having poor work ethics for years now. A captain like Kelly can negate that and hopefully inspire strong play. Saying that, Brule, Bourque and others are older now and surely recognize that the opportunity to play in a Winter Olympics will never come to them again. Lee is definitely one of the best stories leading up to the Games. So many years playing outside of the NHL and never getting much of a sniff. Now as he approaches 40 years old and is still playing tremendous hockey, he is an Olympian. Chris Lee is one of those examples that has become rarer and rarer these days of hard work paying off. Look for Canada to come away with gold or silver. They have assembled a poor man’s NHL team.